Sometimes records are planned for months or even years. Sometimes records sneak up on you. Autumn/Winter 2016 the world seemed to become a loud, brutal place. People hurting from war, homelessness, climate change…..
People respond in different ways. I sought refuge in songs. I wrote some, I learned some and I visited some old ones. After a few months of quiet work, I felt the need to put these songs out into the world. At first I heard choirs and strings and trumpets. In the end I decided to keep it raw, and simple. 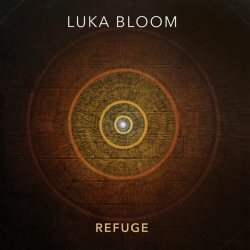 And here it is - REFUGE. 11 songs, recorded in the amazing studio that is Lettercollum Recording Studio, with John Fitzgerald and mastered by my old friend Brian Masterson. The cover painting is called ‘At One’ - by Tim Goulding, a great Irish artist from Beara Peninsula in West Cork. The cover is designed by Steve Averill. My sister, the singer Anne Rynne, still manages the shipments at the website. The cost to you is 18 euros per record, including shipping. The first 500 will be signed. In this age of streaming, I still believe in the record and I love to work with great people to create a record that flows. The sound, the order of the songs, the number of songs. This is how I choose to listen to the people I love. And this is how I want to present my work. To all who choose to buy the record from us, I thank you. It allows me to continue.